Picking the Best Bridal Hairstyle: What Should I Consider? This may sound vain, but you cannot have a truly great bridal ensemble without the perfect hairstyle. 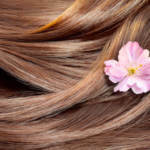 Think of your hair as the pièce de résistance of your wedding attire, the cherry on top of the world’s most artful sundae. You can’t just pick a hairstyle haphazardly for this special occasion! You want something that meshes well with your dress and helps you feel even more beautiful than you already are. Here are a few questions you should ask yourself before heading off to see your wedding stylist. When you went dress shopping, you likely already decided on which accessory you wanted to go with it. For many people, this would be either a veil or a tiara, though plenty of other options exist and complement a well-made and becoming dress just as beautifully. 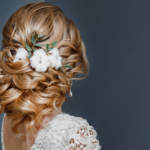 You will have to consider the accessory you want to wear as part of your bridal ensemble while you’re deciding on a hairstyle because it will have to incorporate this accessory in some way. You definitely want to research all types of styles before you decide which one is right for you. The best time to do this would be several weeks before your actual wedding date for the sake of allowing yourself ample time to really think about this. Do a bit of googling. Sift through bridal style blogs. Hop onto Pinterest and flip through all the bridal images, saving the ones you really like. If you’d like, you can even consult your hairstylist with a few references you’re considering in tow. They can help you decide which hairstyle would be the most fitting. 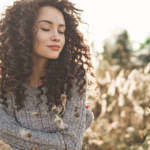 Think about the natural attributes of your hair, as well as what you personally like to wear or what styles you have never tried before. You may surprise yourself by picking something you would have never worn otherwise but still looks splendid on you! 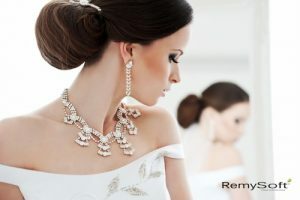 Be sure to take other elements into account alongside your hair texture, including the venue and theme of your wedding. If you’re going for a traditional wedding, a classic hairstyle, such as an updo, would probably be more fitting than loose hair with a unique adornment. Be sure to stick to your quality hair care regimen for maximum results too! Match Your Hairstyle to Your Dress. This last point goes back to what we said in the paragraph before this: think about the theme of your wedding and what style of dress you’ve chosen. You want to pick a hairstyle that matches this, if only for the sake of consistency. 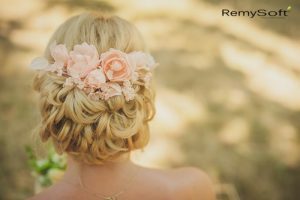 No matter what hairstyle you choose, there are many ways to create a stunning bridal look for yourself with the help of hair products for remy hair. 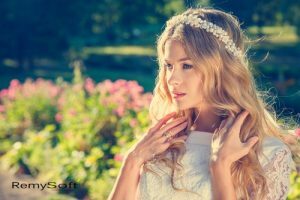 This will prove especially useful for those planning outdoor weddings because sun protection for hair will matter just as much as the right style. For other tips and suggestions, feel free to contact us! This is wonderful hairstyles and it looks great. Consider These Three Hot Bridal Hairstyles for Your Big Day!